Sherry et Cie ... always defining true elegance and glamour for the most discerning Bride. We are an American company based in New York. Catering to an upscale retail trade, all of Sherry et Cie couture designs are made in the United States from the most exquisite silks, satins, laces, and trims with beautiful accents and finishing touches. 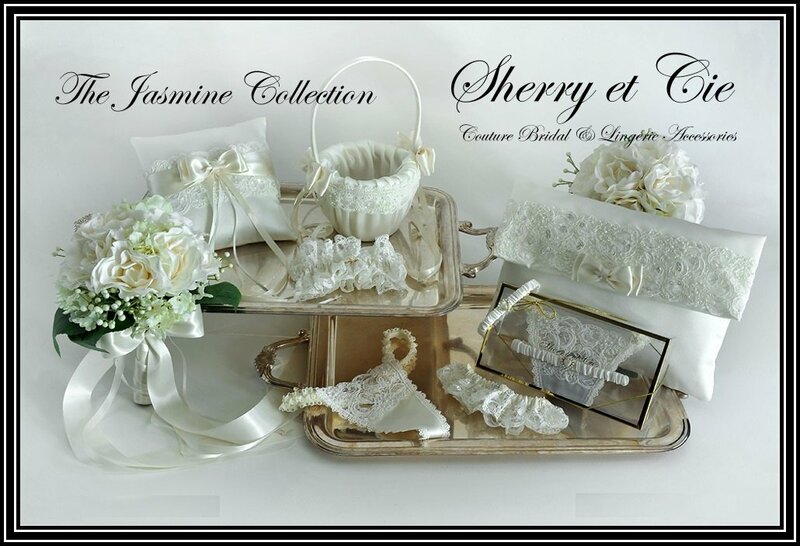 Sherry et Cie offers original design bridal accessories including Bridal Garters, Handkerchiefs, Silk Thongs, Gift Sets, Sachets, Ring Pillows, Flower Girl Baskets, Bridal Bags, and Trousseau Lingerie Case Sets. Kindly contact us for further information on all of our design collections.